According to the United States Census Bureau, there are slightly over 7 billion people roaming the planet today. Of course, those numbers fail to take into account those who dwell on the periphery of reality: a cast of spirits, vampires, saints, psychics, and cryptids. Below are ten mysteries that defy our understanding. 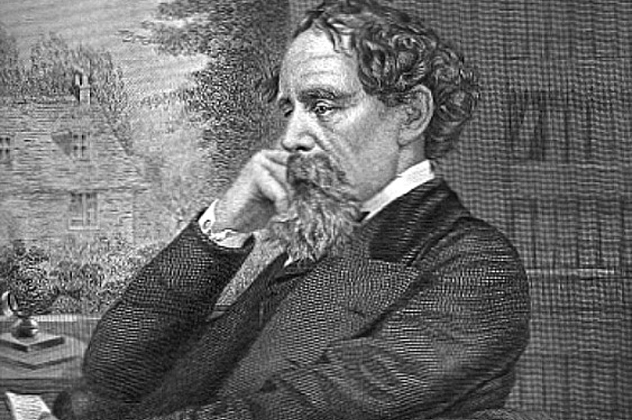 When Charles Dickens died at age 58, he had been hard at work on a new novel, which was to be called The Mystery of Edwin Drood. The story was a murder mystery, with the titular Edwin vanishing and presumed dead. Unfortunately, Dickens succumbed before the book was finished. There were several attempts by other writers to finish the tale, including one version by Charles Dickens Jr. The weirdest version was penned by a printer from Vermont in 1873. The man, named Thomas James, claimed that Charles Dickens himself had channeled him from beyond the grave to finish the story once and for all. James would sit and write in a strange handwriting (which belonged to neither him nor Dickens). Many people dismissed James as some kind of con artist. After the book was finished, it was well received in the United States, but rather less so in the United Kingdom. However, spiritualists such as Arthur Conan Doyle lent their support to James, believing he had indeed been in contact with the deceased author. Not surprisingly, Thomas James never wrote another book, despite lucrative offers. Bridges are notorious hotspots for despondent people to commit suicide. San Francisco’s Golden Gate Bridge has hosted nearly 2,000 suicides and counting. There were at least 10 suicides in August 2013 alone. 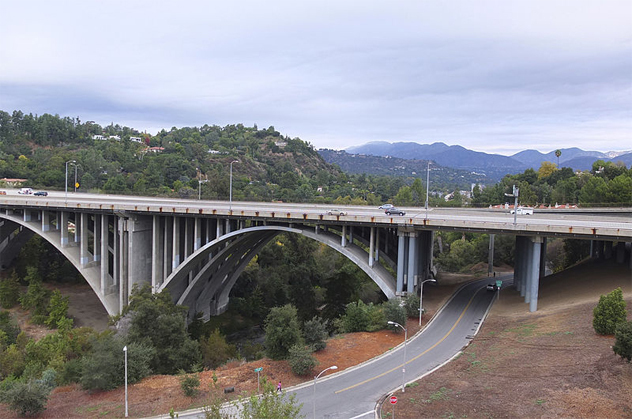 Pasadena’s Colorado Street Bridge, built in 1913, certainly has a lower death count, but is no less creepy. One of the 100 or so tragedies that occurred here happened on May 1, 1937, when a mother hurled her infant daughter over the side and then made the leap herself. Amazingly, the baby got snagged in some tree limbs and lived, while the mother smashed into the riverbed below. Unfortunately, legend has it that those who choose to take their lives here often refuse to pass on. Witnesses have reported seeing a ghostly man in wire-rimmed glasses walking the span of the bridge, along with a woman in a long robe plunging off the edge, doomed to repeat her final act. Creepiest of all, spectral beings are said to wander in the riverbed below, wailing and beckoning to the self-destructive to join them. The Maori people of New Zealand have a brutal history. This warrior culture is known for their elaborate facial tattoos and cannibalism, and outwardly they seem fearless. 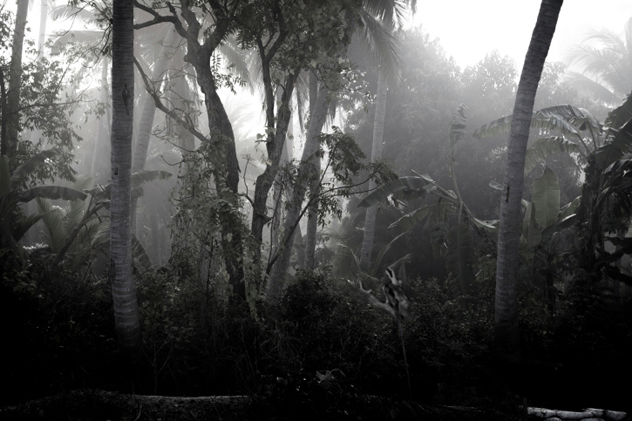 But the Maori live in terror of a race they called “Maero,” wild men who lived in the forest. The Maero were described as being covered with hair and possessing long, bony fingers which they used to spear meat and gobble it raw. 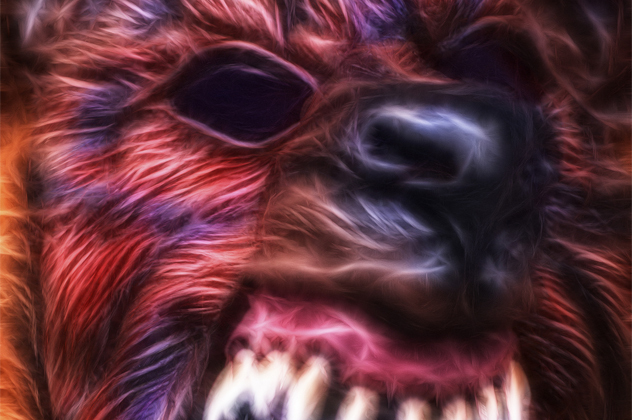 While the Maero might have much in common with other bipedal humanoids around the world, such as the Sasquatch or the Yeti, these beasts have a more supernatural origin. One common Maori folktale concerns a man named Tukoio, who was attacked by a Maero. Tukoio battled the creature, managing to sever its limbs and decapitate it. As he returned to his village, the head screamed, “My children, I am being dragged off!” Tukoio dropped it and fled. Later, he and other men from his village discovered that the remains had gone missing, presumably after magically patching themselves back together. For those of us who grew up singing along with Kermit, there are few things less frightening than an anthropomorphic frog. But the creatures that are said to roam around Loveland, Ohio, are well on the other side of horrifying. Late one night in 1955, a man claimed to have seen a trio of frog-like creatures around a meter (3 ft) tall hunkered beneath a bridge. They were described as wrinkled and leathery, with webbed hands and feet. One of them held up what the man said was a wand that made sparks. Terrified, the witness left the scene. Over the years, there have been many other sightings. On March 3, 1972, a police officer was said to have encountered the creature on a bridge over the Little Miami River. The officer returned to the station and recruited another officer, Mark Matthews, to help investigate the scene. The two men claimed that they found scratch marks near the river. Two weeks later, Officer Matthews again encountered the creature on a roadside. He opened fire, but the Frog Man escaped. Understandably, the two men were ridiculed about their sightings, and in the years since, Matthews has backpedaled on his claim, saying that he’d merely seen an iguana. 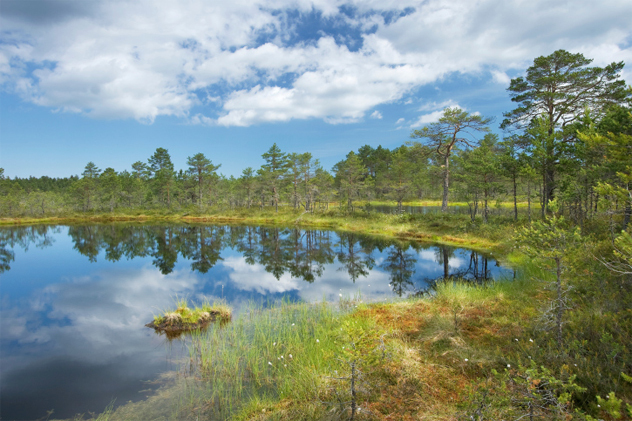 New Jersey’s sprawling pine barrens are a place of great mystery. One such strange site is the Blue Hole of Winslow Township. The Blue Hole is located in the midst of a dense wilderness, and is immediately peculiar. While all the other bodies of water in the area tend to be brown and murky, the water of the Hole is a crystalline blue. Even at the height of summer, the Blue Hole is quite cold, and legends claim that it might be bottomless. There is an element of danger as well; there are reports of whirlpools and beasts dragging swimmers down into their depths, never to be seen again. People have even claimed to see the infamous Jersey Devil haunting the Blue Hole, waiting to pounce on some unsuspecting victim. Like some of the other entries on this list, the Blue Hole is easily investigated by amateur sleuths and monster hunters; it is part of a public wildlife preserve and easily reachable on foot. The mansion certainly has a bloody history; on May 15, 1932, Navy officers ambushed Prime Minister Inukai Tsuyoshi, shooting him to death. The insurgents’ plot was originally even more sinister: at the time Inukai was murdered, he was hosting film star Charlie Chaplin at his estate. Luckily, Chaplin was attending a sumo match with the Prime Minister’s son when the soldiers arrived. Four years later, another military coup occurred at the Kotei, when a contingent of roughly 280 soldiers forced the gates open and engaged in a gun battle with four police officers and the new Prime Minsiter, Keisuke Okada. The police were killed, but their bravery gave Okada enough time to escape. Instead, his brother-in-law, Denzo Matsuo (who bore a striking resemblance to Okada), was gunned down. Years later, the front entrance of the mansion is still pocked with bullet holes, but the violent legacy of the Kotei runs even deeper . 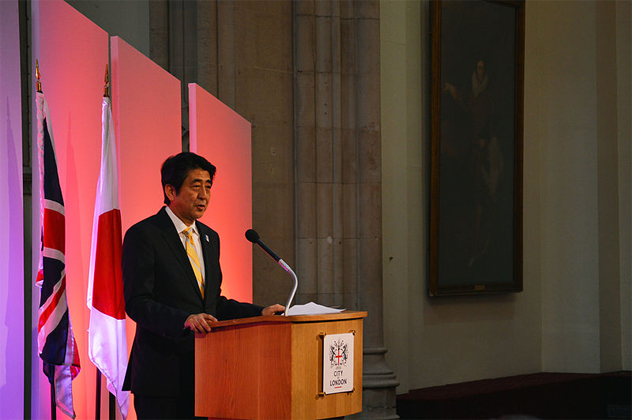 . . several people have reported seeing spectral soldiers in the garden, and Abe himself acknowledged that former Prime Minister Yoshiro Mori had seen a ghost at the residence. The Lemps were a family of brewers from St. Louis, Missouri, known for producing German lager. In the years following the Civil War, their business took off with William J. Lemp at its head. He purchased a lavish mansion with which to raise a family. Lemp had several children, but his favorite was Frederick, who he hoped would one day take over Lemp Beer. Unfortunately, Frederick had health problems, and died from heart failure before reaching his 30th birthday. Frederick’s passing haunted his father, whose health deteriorated afterward. On January 1st, William’s best friend Frederick Pabst died. A little more than a month later, the distraught brewer shot himself in the head in his mansion. Operations were taken over by his son, William “Billy” Lemp Jr. 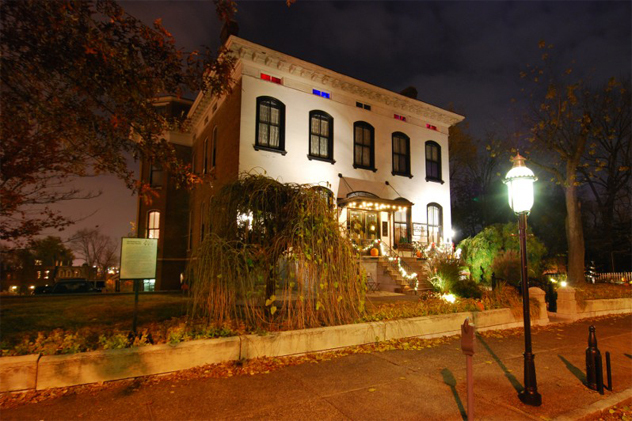 It is unknown what demons drove the Lemp family to such tragic endings, but they can be visited; the Lemp mansion is now a restaurant despite the fact that it is rumored to be one of the most haunted places in America. Old Mt. Zion cemetery in Catawissa, Pennsylvania, boasts a curious phenomenon—a pair of graves outfitted with iron cages overhead. Both graves belong to women who died in June 1852. 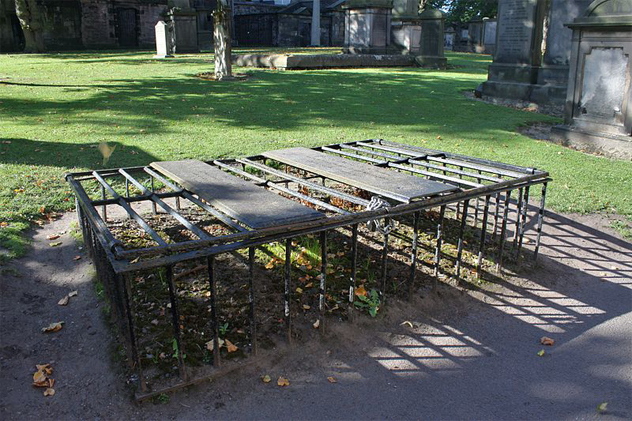 A third caged grave, belonging to one Rebecca Clayton, had been removed in the 1930s after falling into disrepair. Rebecca perished just a few weeks before the other women. In a strange coincidence, all three women were closely related, young, and recently married. Not surprisingly, the cages have generated a lore of their own over the years. The fact that the women all died within a short period of time has led to the belief that they may have been vampires. The cages, then, were constructed to keep them from rising from their graves and feasting on the blood of the living. However, as lurid an idea as this is, the cages were likely built not to keep something in, but to keep someone out. In the mid-19th century, grave-robbings were depressingly common. Not only were people sometimes buried with valuables, but the bodies themselves could be sold to medical schools to be dissected, allowing thieves to turn a quick profit. The fact that three young, closely related women would all die within a short period of time seems creepy at first glance, until you consider that they likely were frequently exposed to each other and probably shared a water source. In those days of only the most basic sanitation, contagions often swept through concentrated regions. That time period in particular also lines up with cholera outbreaks devastating America. There are a great many tales of mysterious black cats and dogs wandering the British Isles, some seemingly composed of flesh and blood, and others spectral. Unlike many supposed cryptids, there is a wealth of photographic evidence that panthers and wolves and hulking demon dogs roam the countryside. Not surprisingly, these photos are often grainy and taken at a distance. Without discernible scale, we could just as easily be looking at someone’s pet Labrador as a terrible monster. There have been several explanations proffered regarding the origins of the Beast. While big cats once roamed the British Isles, the last of them died out thousands of years ago; the likelihood that some remnant population managed to hang on is slim. A more plausible theory is that in the wake of the UK passing the 1976 Dangerous Wild Animals Act, many people released their exotic pets rather than face costly fines. These animals could have formed a small breeding population, subsisting mainly on rabbits and deer, and raiding farms when food was scarce. In 2009, a carcass that washed up on a beach in Devon was briefly rumored to be the Beast of Exmoor, but it was quickly identified as a dead seal. However, there is potential evidence that big cats do roam England; deer and boar bones have been discovered that appear to bear marks from of the teeth of a large feline. These days, religious miracles seem to be in terribly short supply. A pall has even been cast over such seemingly infallible characters as Mother Teresa. But New Mexico’s Loretto Chapel, built in 1878, might just give credence to idea that saints walk among us. During the building of the chapel, the architect was shot to death, and when the project was completed, the building was missing one key feature: a way to get to the choir loft, which was 6.7 meters (22 ft) above the ground. There was no room for a conventional staircase, and the nuns were averse to using ladders because they were afraid of snagging their long habits. The legend goes that the sisters of Loretto prayed for nine days, and on the final day, a bedraggled man arrived on a donkey and asked permission to solve their problem. Using only the most basic of tools (not even nails), he created a glorious winding helix staircase over the course of a few months. At first glance, the structure seems to defy the laws of physics, as it appears to have no central means of support. Upon finishing, the unidentified carpenter simply went on his way without being paid. The nuns, taken by the majesty of his creation, believed that the man was none other than St. Joseph, patron saint of carpenters. Other theories have been advanced, probably the most plausible being that the man was an itinerant French carpenter named Francois-Jean Rochas. 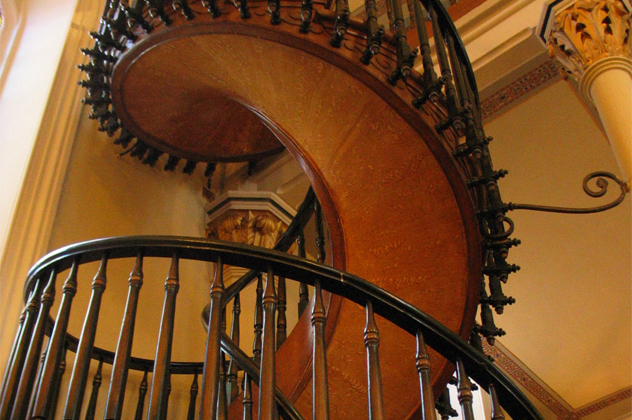 The staircase itself has since been thoroughly examined, and while beautiful, it is not exactly a marvel. The helix is so tight that the center portion acts as its own support, keeping it from toppling over. It has also been judged as very unsafe, acting as a spring when people climb on it. Today, the Loretto Chapel is privately owned, and frequently stages weddings where couples are allowed to pose on the staircase.